A master station can be configured to communicate with slave stations in either Message-based polling mode or Standard polling mode. The pros and cons of each polling mode are described below. Message-based polling mode is best used in networks when communication with the slave stations is not time critical and where the user needs to be able to limit when and how often the master station communicates with each slave station. It is not recommended for larger systems that require time critical communication between the master and all the slave stations, or for systems where slave station-initiated messages are going to be used. With Message-Based polling mode, the only time a master station communicates with a slave station is when a message (MSG) instruction in ladder logic is triggered to that particular slave station’s address. This polling mode gives the user complete control (through ladder logic) over when and how often to communicate with each slave station. If multiple MSG instructions are triggered “simultaneously”, they will be executed in order, one at a time, to completion (i.e., the first MSG queued up will be transmitted and completed to done or error before the next queued up MSG is transmitted). Any time a message is triggered to a slave station that can’t respond (for instance, if its modem fails), the message will go through retries and timeouts that will slow down the execution of all the other queued up messages. The minimum time to message to every responding slave station increases linearly with the number of slave stations that can’t respond. If the Message-based selection is “don’t allow slaves to initiate messages,” then even if a slave station triggers and queues up a MSG instruction in its ladder logic, the master station will not process it. 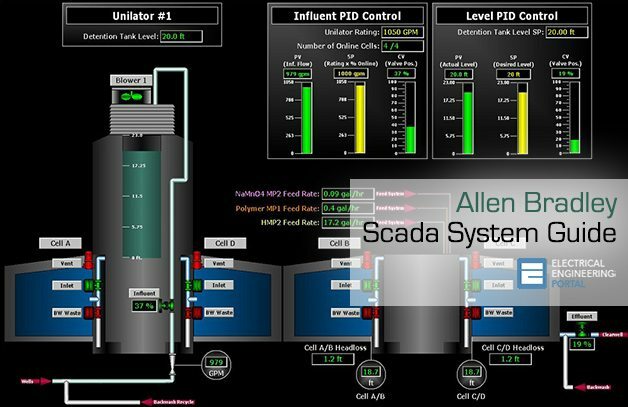 This mode is similar to how a master/slave network based on Modbus protocol would work, since Modbus slave stations cannot ever initiate a message. If the Message-based selection is “allow slaves to initiate messages,” when a slave station initiates a message to the master station (polled report by exception messaging) or to another slave station (slave-to-slave messaging), the MSG command packet will remain in that slave station’s transmit queue until the master station triggers its own MSG command packet to it (which could be seconds, minutes or hours later, depending on the master’s ladder logic).